Adjustable upper control arms to help with setting alignment specs to your exact needs. These are direct replacement arms for the stock front upper control arms. These arms add adjustability to fine tune camber and caster settings on the vehicles multi-link suspension. These utilize factory bushings to retain maximum road comfort and eliminate noise and harshness. Custom outer ball joints feature Teflon linings and are sealed to provide years of maintenance free operation. 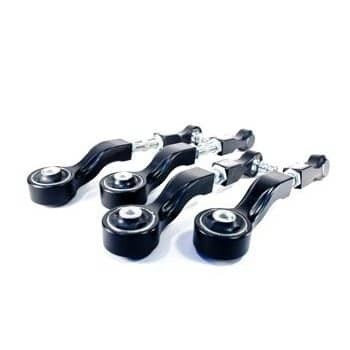 Replaceable bushings and serviceable ball joints will make these the last arms you'll ever need.